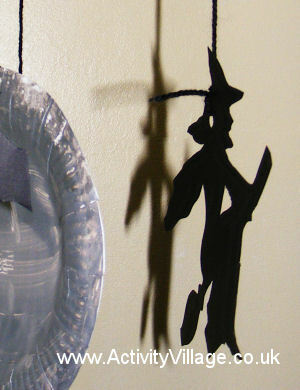 This Halloween silhouette painting makes use of our Halloween templates to create a reverse stencil - it's a really clever way for kids of all ages to make a really effective Halloween picture, and the slightly blurred edges you get around the moon makes it all the more realistic! 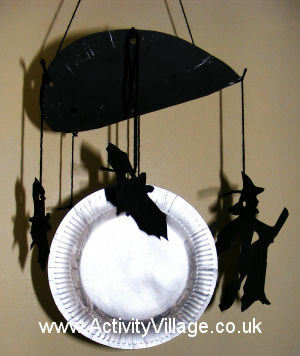 This Halloween moon is so simple to do - but very effective. Obviously you will have to cut out the bat shapes for younger children, but they can still enjoy sticking them to their "moon". For an even quicker version, substitute a white paper plate for the silver card.